Children’s books and even some adult books are brimming with wonderful child characters. Here are some characters I would love to revisit as adults, to find out what happened to them in their early-adult, middle, or even later years. Some are old childhood friends; others I didn’t meet until I myself was an adult… but that doesn’t matter, because books, and the characters within them, are timeless. NOTE: I left out characters who have books written about their adult years as well as their childhood. 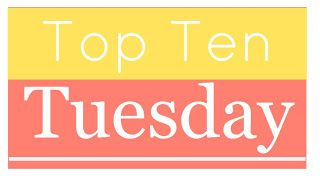 Thus, Anne of Green Gables, Laura Ingalls, Meg Murray, and the March sisters are not on this list. However, I decided that epilogues or brief mentions in other books don’t count, as they only offer a tiny glimpse, rather than a chance to really spend time with that character as an adult. And I also stretched the definition to cover teens as well as children. Percy Jackson and Annabeth Chase. Avoiding spoilers from the Heroes of Olympus quintet, I’ll just say that Percy and Annabeth dream about someday being able to live (together) in peace, without having to save the world and kill monsters all the time. I’d like to see them get their wish… but I suspect that one way or another, eventually they will find themselves training a new generation of demigods. Mary Lenox, Colin Craven, and Dickon. Unlike the previous two series, The Secret Garden ends when Mary and Colin are still young, and Dickon is probably only 13 or 14. What happens to them? I know one movie suggests that Dickon was killed in the Great War, and certainly all three children would have been old enough to be involved in it by the time the war started. But I can’t bear to think of Dickon being dead. I do know that after the war, Britain’s social (and class) structure began to change. So I can hope that the three of them were able to maintain their friendship despite the differences in wealth and class. Perhaps Mr. Craven sends Dickon to veterinary school, in thanks for all that he did for Colin. Perhaps Mary founds a school for orphaned girls. And I very much suspect that Colin becomes a scientist or a doctor. The children from The Dark is Rising series: Simon, Jane, Barney, Bran, and Will. Perhaps especially Bran and Will. I don’t want to spoil the books, but Bran gives up part of his nature, and all memory of his father, in the very last book. I’d like some sense that it was the right choice, and that his adulthood is a reasonably happy one. 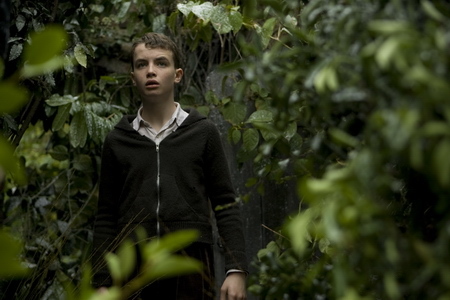 The other children also forget some of their adventures, except for Will—and he is both a child and the last of the Old Ones. What must it be like for him, once the other Old Ones leave, and Will is left to go back into his “regular” life, to grow up still possessing the knowledge of who and what he is? Tolly from the Green Knowe books. I like to picture Tolly inheriting Green Knowe once Mrs. Oldknowe passes away. Will he still sometimes hear and even see the children of other times, as he does when he is young? And can he keep the house sound and protected through the years? I like to think Tolly becomes an author, writing stories in which the future and the past, the mundane and the magical meet and merge as they did in his own childhood. Pauline, Petrova, and Posy Fossil. There are brief mentions of the Fossil sisters (Ballet Shoes) in some of Noel Streatfield’s other books, but I’ve always wanted to know whether the lives they chose satisfy them as much as they each believed they would… and whether they stay close despite the vast geographic distances between them. I’d particularly like to follow up with Petrova, who was clearly headed for the most unconventional and probably the most exciting life of the three. 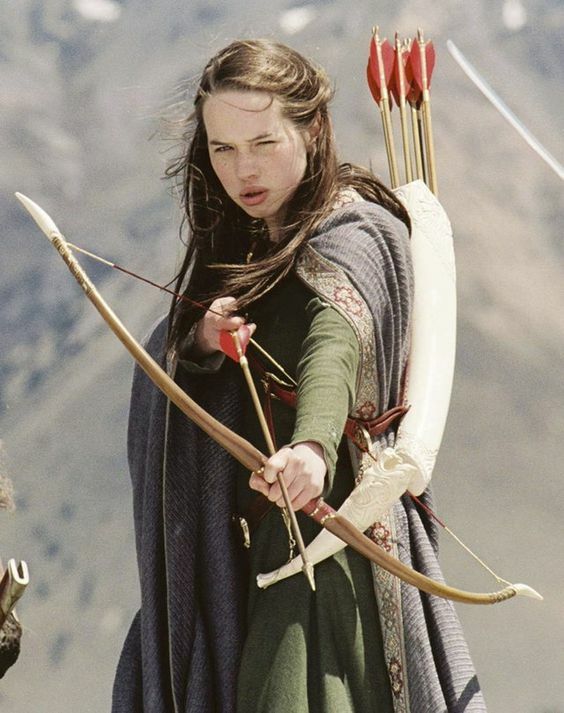 Susan Pevensie. Apologies to fellow C. S. Lewis lovers, but despite my love of Narnia, I’ve always been a bit angry with him for his treatment of Susan. In The Lion, the Witch, and the Wardrobe, Susan is practical, she’s brave, she’s capable (note that in LWW Father Christmas gives her a bow and arrows and expects her to use it) and she’s also kind and gentle. She clearly feels the weight of responsibility for her brothers and sisters, and she doesn’t shirk it. She’s beautiful, but not puffed up about it (vide her cameo appearances in The Horse and His Boy.) And she and Lucy are there for Aslan’s death and resurrection, faithful though everyone else is sleeping. 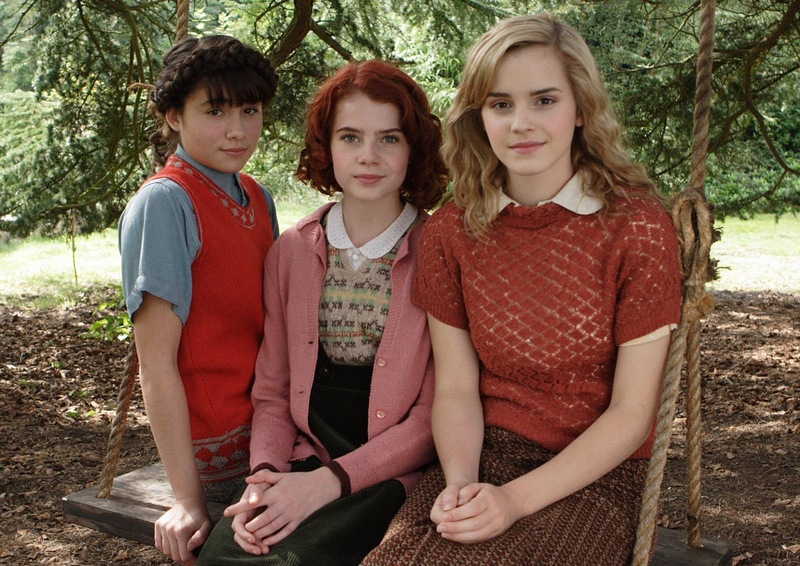 Yet by The Voyage of the Dawn Treader she is merely (and in absentia) someone for Lucy to be jealous of. And then comes the final blow: although all the others who ever visited Narnia get to go to Aslan’s home in The Last Battle, Susan is left in our world without them, truly and utterly alone… and Lewis spares no sympathy for her at all. In fact, he blames her for forgetting Narnia as well as for becoming a young woman interested in makeup and young men. And that makes me angry, because Lewis didn’t have to do that. If it makes you angry too, go read this tumblr post by ink-splotch. Keladry of Mindelan. So I’ve talked here about why I love Kel, and why she’s my favorite of Tamora Pierce’s characters. (I’m very fond of most of the others, too, especially Daine and Numair.) But the Protector of the Small series ends with Kel’s first year as a knight. I want to know what happens next. She’s too good a knight to leave in charge of a refugee camp forever. I want to see her at 25, and 35, and 50. I have more than a sneaking suspicion that she’ll end up commanding a company of the King’s Own someday. I’d love to see her put in charge of page training eventually, but that might be too much change for the conservatives to accept. But I want to see her mentoring some of the girls who will follow in her footsteps, and cheering when those girls take the field in tournaments, and being as tough on them—and as fair, and as encouraging—as Raoul was on her. And I want to know if Kel ever really falls in love, and whether she finds someone who is strong enough to love her for who she is. Charles Wallace Murray. So we know about Meg and Calvin’s future (A Swiftly Tilting Planet, The Arm of the Starfish), but what about the other major character in the L’Engle’s Time Trilogy? * Charles Wallace is brilliant, a child prodigy; he learns to blend in a little as the books go on, but he never stops being brilliant. So what happens to him? What does he study in college, and grad school? In what field does he end up, and what amazing discoveries will he make? And do unusual things keep happening to him all his life? I figured they would be pretty popular this week! I want to meet Susan Pevansie, too. Of all the siblings I wonder how she turned out since she wasn’t in The Last Battle. She’s the only one who ever really got to grow up, too. Why, thank you! Apparently we’re not alone in thinking so. Our daughter Robin got me started on the Riordan books, and they’re so much fun! Susan Pevensie is at the top of my list. I hate what Lewis did to her! Susan seems to be getting a lot of love today! When I went visiting today, I found several that I should have included on my list! The Walkers and the Blacketts from the Swallows and Amazons series in particular. I think it’s impossible to remember and include everything! Great list! I would love to see the Harry Potter characters as adults, Percy and Annabeth too. Also the Fossil sisters weren’t on my list, but Ballet Shoes was one of my favourite books as a kid and I’d love to see where they ended up! I loved Ballet Shoes, more than any of Streatfield’s other books. Love this! I have Percy Jackson on my list of books to read this year. My jaw dropped when I saw the Green Knowe books. I’d never heard of them but just discovered them at the library today when I was looking for new chapter books for the Tornado. I wanted to read them for myself! I’m off to go check off the article on Susan. I’ve never thought particularly fondly of her (Lewis describes her as making you want to do the opposite of what she tells you which always reminded me of my mother) but you are so right. She definitely is not treated kindly. I wonder who she represented for him. To be that mean it had to be someone! 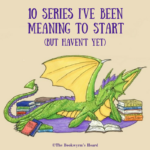 Oh, you will *love* the Green Knowe books! They might be just a trifle too old for the Tornado yet… how old is he? And I hope you love the Percy Jackson books, too. They’re snarky and funny and exciting all at the same time. The guy who reads the audiobooks (the first five) does a really good job, if you prefer to listen. I hadn’t thought of Susan representing someone in particular to Lewis. You may be right. OTOH, there’s a sort of trope in British fiction of the older girl in the family mothering the rest of them, being the responsible one, and all that. You see it in Susan Walker in the Swallows and Amazons books by Arthur Ransome, too. I’m only halfway through the Percy Jackson series but already love Percy and Annabeth and would definitely enjoy seeing them beyond the age of 18. Does she still call him seaweed brain when they’re 30? 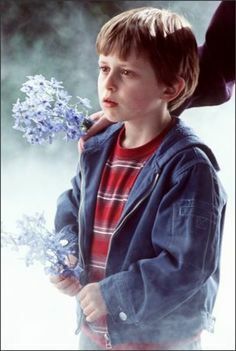 Also I think the kids from The Secret Garden may be my favorite idea I’ve seen yet. It would be great to see how they turn out though definitely worried about what would be in store for them. Oh, I think she probably still calls him “seaweed brain” when he gets too full of himself—affectionately, but just reminding him to stay grounded. Er, watered. Oh, you know what I mean! Selah brought up The Last Battle and I realized that while I have read several of the books in the Narnia series probably 50 times each I have only read The Last Battle maybe twice and long ago (I tend to skip Prince Caspian, The Silver Chair and The Last Battle in my re-reads). I’ve completely forgotten what happens in that book. I started on a re-read last year and need to continue all the way to the end so I can revisit the Pevensies. However, I’m guessing that I would prefer an alternative version of Lucy’s adult life. I saw someone else suggested that it would be nice to get the full story of their adulthood in Narnia as glimpsed in A Horse and His Boy. I think that would be cool too! I would love to see more of their time as rulers of Narnia! The peek we get in The Horse and His Boy is tantalizing but just not enough! As for adult earthly Lucy, my lips are sealed until you’ve reread The Last Battle again. I feel that I read somewhere that Mary and Colin married later in life, but I’m not sure. I also recall a reference to Dickon going off to war – which is when the marriage happened. I have always been curious as to how Lord Craven handled everything after The Secret Garden ended. Did he change his life? No longer hide himself in the city? In dark, dank rooms? Did Colin change his outlook on life? As for the changing class and societal systems of the time, Mary and Colin’s friendship with Dickon would not have been tolerated had an adult been in the know. Martha simply cast Mary out to play on her own and brought the two together. She was a Lady at worst. I don’t know her father’s title, but a Lady of her age (again, under proper guidance) would not have been permitted to play outdoors like she did, and definitely not with Dickon. As the years went on and things started changing, their friendship would have been more acceptable, so I believe they would have stayed friends and the changes in the world would not have changed them in that regard. I also would really love to see the adult lives of the Harry Potter characters. There should be more! I’m 99% sure that Burnett never specified what happened to the three in later years. The idea that Colin and Mary married, and that Dickon died in the Great War, was introduced by one of the movies; it’s non-canonical. Actually, in the book Mary is only 9 or 10, an age at which in a “normal” aristocratic household, she might have been allowed to play in the grounds (under supervision) and in the nursery with Colin, at least. You’re probably right that they would have been discouraged from playing with Dickon. As for her rank, I doubt that she is entitled to be styled Lady, though she’s certainly a young lady (lowercase, a general term) of the gentry class. She would have to be the daughter of a duke, marquess, or earl to carry the courtesy title “Lady Mary.” Her father was in the military, so he was most likely a second son, and thus not the holder of the family title. Also, if she were that highly born, I think Burnett would have said so… and Mary would probably have had other family to take over her guardianship. But it’s fun to speculate! My favorite movie version is the one with Maggie Smith as the housekeeper (this one.) But there was a British TV version (in 1975, I think) which I saw on PBS at some point, which I liked at the time. I have no idea how my adult self would react to it. I think Harriet would be great to meet with as an adult… I have a sneaking suspicion (joke intended) that she went to work for the CIA or the NSA or the FBI. I too am rooting for Annabeth & Percy to get their peaceful family life. I thought about including Charles Wallace, but because I haven’t read any of the followup books (after Swiftly Tilting Planet) I wasn’t sure that his future wasn’t already told. QUOTE – What Lewis said to his favorite readers was that he hadn’t meant to suggest Susan was damned, just that her story diverged from the one he was trying to tell. I’m glad to know that about Lewis and Susan, but the impression still stands (as witnessed by the various comments here.) I love his invitation, though, and only wish I were a good enough writer to explore Susan’s adult life! Yes, it has obviously been a concern since the book first came out. That’s part of why I have read so much about it (and came across the stuff I quotes). My great hope for her has always come from the oft repeated, “Once a King or Queen in Narnia, always a King or Queen in Narnia.” She is still a queen! Indeed she is! And that’s something I’ve clung to, too.